Remove PDF restrictions from protected PDF files on Windows and Mac! PDF Password Remover 1.5 (Win&Mac) was available as a giveaway on March 18, 2016! 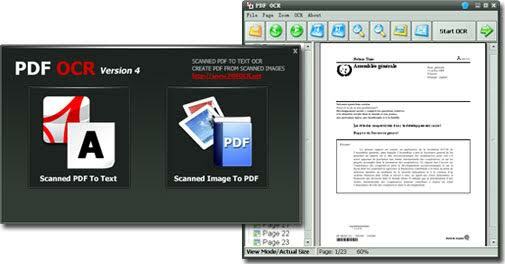 There are a lot of PDF files can not be printed or converted, that means those PDF files have been protected. 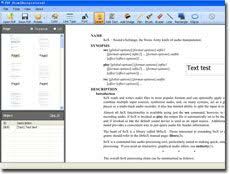 PDF Password Remover is a tool to remove PDF restrictions from protected PDF files on Windows and Mac OS X. Before removing the PDF owner password and restrictions, you do not have the authority to convert, modify and print the PDF document. After PDF Password Remover processing, the protected PDF document will be decrypted to a normal PDF file and you can do anything on it. If you are a Mac user, please download the installation file here (10 MB). How would you improve PDF Password Remover 1.5 (Win&Mac)? PDF OCR is a Windows application that uses Optical Character Recognition technology to OCR scanned PDF documents to editable text files. 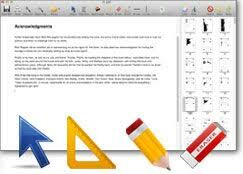 PDF Editor is a Windows PDF editing software product that lets you modify and edit PDF documents: adding text, insert images, removing unwanted content, drawing lines and rotating PDF pages. I'm very disappointed that the developer of this software has failed to provide any help with the defective setup.gcd file. I have now tried everything I can think of, including downloading today's Giveway using both Chrome and Firefox, and installing another archiving program (B1 Free Archiver) in case the problem with my attempt was due to using a program which could not cope with the compression method used. However, this too failed, so I can only conclude that the version of the setup.gcd file supplied for today's Giveaway is indeed corrupt. But where's the help from the publisher of the software? Installs well on Wind 10 64b ... works well ... no problems. Thanks. I've been computing since 1995 and I can only recall 2 password protected PDF files I encountered to date. Not for me, but thanks GOTD and PDFZilla. Since I have no password or copy-protected PDF files, can anyone provide me with a link for one, so I could test this software? mrlatin, Try temporarily disabling your antivirus during the install, since it seems several security apps block the GAOTD installer from actually completing the install. mrlatin, Try temporarily disabling your antivirus during the install, since it seems several security apps block the GAOTD installer from actually completing the install. Best of luck. mrlatin, i'm sorry i put my reply on your other comment..
mrlatin, did you look in your temp files?? files sometimes go there and does not show the download elsewhere..if they are there..u can copy and paste to where you do want it..if not..delete it from your temp files and save in another directory of your choosing...downloads sometimes changes the "save as" to an open option and that is where it may go directly to your temp files..or it has been my experience as such...hope it helps..
mrlatin, i'm sorry i put my reply on your other comment.. mrlatin, did you look in your temp files?? files sometimes go there and does not show the download elsewhere..if they are there..u can copy and paste to where you do want it..if not..delete it from your temp files and save in another directory of your choosing...downloads sometimes changes the "save as" to an open option and that is where it may go directly to your temp files..or it has been my experience as such...hope it helps.. If a PDF has been locked with a password that you can't even open...then this program will not help you with that...it in fact asks you for that PASSWORD before it can do the restricted editing portion of the password removal. Is that clear? Still very useful as a restriction remover. I can assure that this software ONLY removes a locked PDF where the -printing was not allowed -changing the document was not allowed -copying content was not allowed -page extraction was not allowed -commenting was not allowed -filling of forms fields was not allowed -signing was not allowed (all above are classified as restricted editing and printing of a PDF that you can open but couldn't do those functions) If a PDF has been locked with a password that you can't even open...then this program will not help you with that...it in fact asks you for that PASSWORD before it can do the restricted editing portion of the password removal. Is that clear? Still very useful as a restriction remover. Two types of protection; one that stops you opening the file to read it, and the second that restricts what you can do when the file is open. The first type of protection appears to be almost impossible to bypass according to the information on the Internet. The second protects against a number of operations on a file that can be opened; for instance to be able to print, to be able to edit etc, this one is easy to bypass. Two types of protection; one that stops you opening the file to read it, and the second that restricts what you can do when the file is open. The first type of protection appears to be almost impossible to bypass according to the information on the Internet. The second protects against a number of operations on a file that can be opened; for instance to be able to print, to be able to edit etc, this one is easy to bypass. 1. you MUST turn off ALL your antivirus software to install it. If not. It will give you error messages like "Failed to launch the program"
2. After installation click on Buy License. Enter the license that's on the readme file and click registrer. 3. Does it works??? That's the question!!!! I have about 3.000 pdf files on my PC. It was VERY hard to find a protected one, BUT I found eTickets of the last Rolling Stones Show I've been a month ago here in Brazil. These eTickets have all kinds of protection so they can't be faked. It took PDF Password Remover 1.5 about 3 seconds to remove ALL protections an transform the eTicket into an open document! So, Does it removes a pdf protection? Answer : YES!! at least in my test. Mario, thank you very much for your comments, and particularly your very helpful instructions to install & register the software. Worked like a charm! Want the Mac version but I can only download the Win version? Can anyone help? "...... Remover processing, the protected PDF document will be decrypted to a normal PDF file and you can do anything on it. Windows XP/ Vista/ 7/ 8; Mac OSX 10.8 or later......"
I'm not 100% certain, but I can't see it failing just because you have an older version installed. Is the directory name the same? Some install software will tell you that an older version is installed and that you need to uninstall the previous version. Some do it automatically and some you have to do manually. I just have to ask..........why would you keep the old .gcd file for anyway? Brian W, I'm not 100% certain, but I can't see it failing just because you have an older version installed. Is the directory name the same? Some install software will tell you that an older version is installed and that you need to uninstall the previous version. Some do it automatically and some you have to do manually. In your case, I would simply uninstall the previous and new version (hope you use Revo Uninstaller), then start from scratch I just have to ask..........why would you keep the old .gcd file for anyway? If I'm understanding this from the comments below - this program will remove the password from a PDF file, but only if you already have the password? Isn't that a bit like having the superpower of becoming invisible, but only if nobody is watching? If I'm understanding this from the comments below - this program will remove the password from a PDF file, but only if you already have the password? Isn't that a bit like having the superpower of becoming invisible, but only if nobody is watching? A password remover is the kind of software that lets you open a document despite not having the password, by my logic "the" vital difference! It may save you some typing time, but what you can see on the screen you can copy and with OCR software no great thing either. This software is not a password remover, never ever. Agreed? Wlodek, A password remover is the kind of software that lets you open a document despite not having the password, by my logic "the" vital difference! It may save you some typing time, but what you can see on the screen you can copy and with OCR software no great thing either. This software is not a password remover, never ever. Agreed? I keep getting a fatal error when unzipping setup.gcd. I've downloaded the program files twice, but the same problem recurs and I therefore can't install the program. Unable to remove user password. Is there any software to remove user password. Hi, Unable to remove user password. Is there any software to remove user password. Quite so: the program website says that it can remove Owner Password Protection directly, but it requires the User Password to remove User Password Protection. A search reveals that there are programs (eg A-PDF Password Security) which claim to be able to remove it (without a password?) but I haven't tried them! Sam Joseph Godman J, Quite so: the program website says that it can remove Owner Password Protection directly, but it requires the User Password to remove User Password Protection. A search reveals that there are programs (eg A-PDF Password Security) which claim to be able to remove it (without a password?) but I haven't tried them! Last year, on May 27, GotD gave away a program called Vibisoft PDF Password & Restrictions Remover. I have used it to successfully remove every restriction from all downloaded magazine and ebooks. As I recall, there was the same debate about passwords but I had no difficulty removing restrictions in ~3 seconds with that program. Program does not work. Just says "invalid photo". I kind of started liking GAOTD.com now.. I remember there was a time when they used to Giveaway an Audio-Video Converter every week! :-D I like it that the cateogries have increased now and softwares of all type are provided. Peace. And now there are sometimes two giveaways a day. damon, Oops -- I hit 'no' by accident, instead of 'yes.' I like having two giveaways occasionally! damon, Oops -- I hit 'no' by accident, instead of 'yes.' I <strong>like</strong> having two giveaways occasionally! I had this software on my old PC; worked great then, works great now! 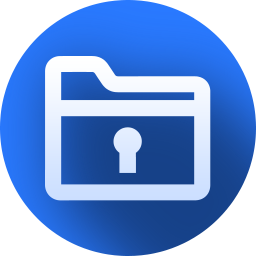 Simply drag and drop the protected PDF file on the remover window (or click with the mouse button of your choice) to add a PDF file and the password is removed.